We go the extra mile to meet all of your storage needs. Either by offering you our free truck to move in or by helping you take your merchandise to your car, we will show you the difference between an ordinary and an extraordinary storage facility. Please make your reservation online and we will contact you to set up an appointment in regards to the free truck. We want your storage experience to be easy and efficient. Our knowledgeable storage counselors go through constant training to ensure outstanding service and that your needs are met in the most affordable way. Our goal is to save you TIME AND MONEY! Very accomodating, good customer service, efficient. Love it so far! The staff is especially helpful. As stressful as moving is this staff alleviates some of that, easing the transition of moving. Great customer service, and a good deal with their on-line special. Great service!!! Obie and Ray are awesome. Very thorough and courteous. Staff and facility, takes both! The price was great, the pay-in-advance offer was awesome. And the staff accommodated our move-in timing. We're getting a second unit for a couple months to give us elbow room to sort out and reduce decades of accumulation. Ray provided excellent customer service!! Needed storage to deal with a death in the family. This looks to be an older property, but appreciated the resident manager's apt right at the entrance/ exit. We actually are property managers/auditors in southern California at a much newer property for the last 14 yrs..... and still found this property very satisfactory to meet our needs. Ray provided excellent customer service while being very professional. There were other tenants also waiting to be assisted, but Ray stayed coo, politel and focused on the task at hand. Thank you so much!! Very reasonable prices. The staff is great. Would be nice if the main office was bigger. Alex the GM was very helpful and straight forward. Great phone skills and amicable. Solid prices as Well! Thank you Alex. No issues moving in, definitely one of the cheapest in town and great customer service. I've already recommended them to a few friends. There was a small clerical error when I arrived, so the unit I had reserved was no longer available. However, Alex handled everything very professionally, and it was on the craziest day of the month for him. We got a very workable unit for our purposes, and for a great price. This facility is a bit lacking in physical security however. The doors on the outside of the storage buildings are metal and seem hard to break into, but once you're in the hallways, the doors to the units are a little flimsy, and very easy to break into if you already have a unit in the same building. It was because of this that I got the insurance. There are cameras, a fence, and a person on-premises at all times, and you can't enter the facility after-hours either. This compensates well enough i'd say for the lack of physical security features. If you just want an affordable place to store your (replaceable) stuff, this is the place for you. Alex was great, even through all the multitasking he had to do, he took care of my move-in really well. Try them out. See the difference. Good customer service. Facility is aged, but maintained. Availability was precisely what we needed. It's not the best storage I would have chosen images on the Internet look decent. It was my fault for not checking out the place before my move in date. The pricing and customer service were excellent. The facility is outdated and the storage units are run down and don't seem secure. I would like to see the units updated before I recommend a friend. The manager who checked me in did a great job, balancing 4 customers at once and handling everything correctly. I got a good price comparatively. When I moved in, another attendant helped me find the unit,unlock a cart for me to use, and gave me instructions. The setting is very urban, so I appreciate someone noticing and helping a single female using one of the far away buildings. Great people working here! Knowlegible and kind. The people who work here are friendly and very helpful. The facility is a fixture in the community and well maintained. You could always find someone on the grounds cleaning or performing maintenance. The pricing is reasonable for the space provided. I would recommend and use this place again if the need be. The staff is great - very helpful. I needed temp storage & their price was right. My storage unit was on the inside of a bldg. Not so convenient, as you can only get access when someone is actually in the office. For that reason + the fact that 2nd flr storage is only accessible via stairs, they would not be one of my top 5 choices for storage rentals. 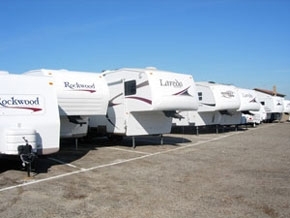 If you can get an outside rental, or don't really need access to your stored items often + you can get in on one of their specials - I say, go for it. 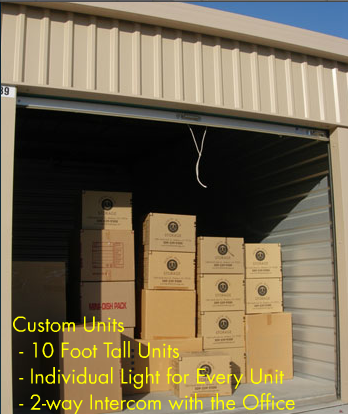 Larger unit available at short notice which was hard to find in the area for a reasonable price. Excellent customer service. Made the move from out of state very easy. They had a larger unit available at short notice which was hard to find in the area for a reasonable price. Excellent customer service. Thank you very much. 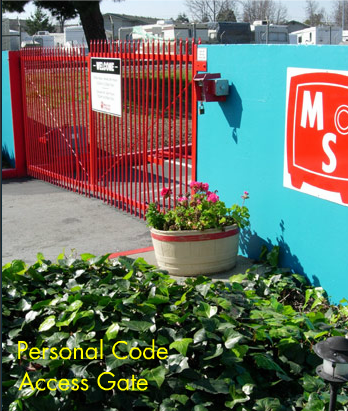 The customer service is great, and the facility is secure and easy to navigate. I had a great experience dealing with George for my move-in. He was incredibly helpful and friendly. He helped me figure out exactly what kind of unit I needed and explained everything clearly. Overall a great experience there! Near the walmart in San Leandro. Best price units are on second floor with no elevator access. All the people that work here are awesome. 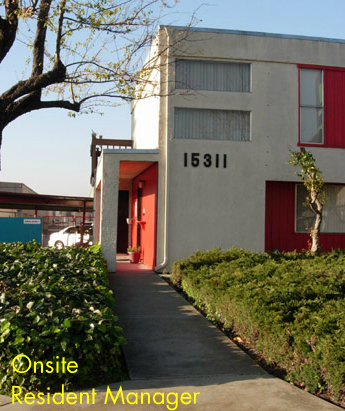 Very convenient location and high accessibility. Got more than I expected out of the deal. Super easy process from first contact with sparefoot.com to actual move-in. 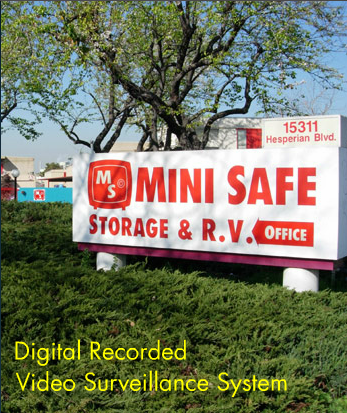 The team at Mini Safe are extremely professional and the premises are clean and secure. Pricing is better than anything else we found in our area. I would high recommend! Great price, good location to the airport and smooth transaction. Feel comfortable knowing my car is safe. Pleasant experience. The manage was excellent and patient to our needs. I needed to store my car for a few months while out of the country. From the first phone call Chad was super helpful. He invited me to take a look at the place, we toured around in the golf buggy looking at available spots, and he went through all the contractual and site details with me. The security on the site is impressive. They have a key code controlled gate, and guard dogs on site. My car was stored underneath a canopy so it still looked great when I collected it. The price was very competitive, and the level of service I received was fantastic. It's easy to get there as they are about 10-15 minutes on foot from Bay Fair BART station. When I no longer needed the space, Chad was again really helpful in getting everything closed out. chose this facility based on the specials and the free moving truck rental. 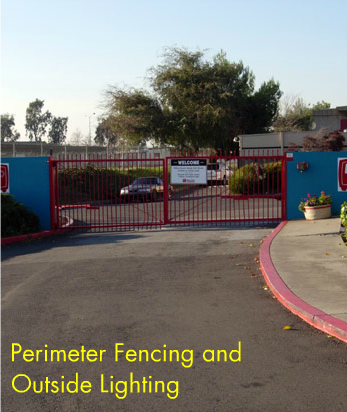 the cost of the space is a great value for the security and safety of this facility. customer service was knowledgable, friendly and fast.